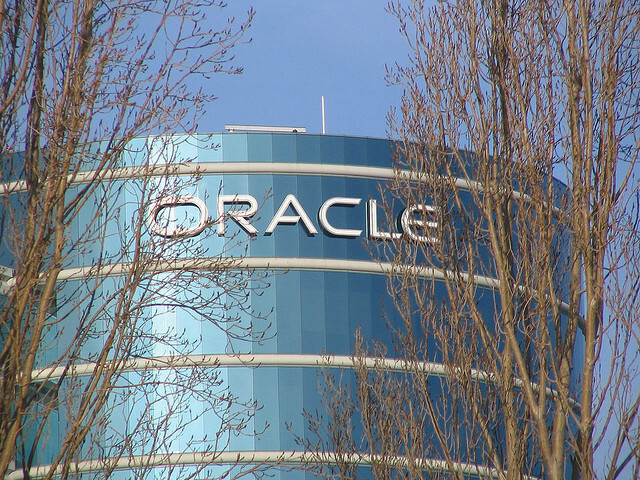 Just when you thought Oracle(s orcl) might be done buying stuff, it buys something else. Today the database giant said it is purchasing Vitrue, a specialist in social marketing services. Terms were not disclosed. cloud-based social marketing and engagement platform that enables marketers to centrally create, publish, moderate, manage, measure and report on their social marketing campaigns and activities on social media platforms such as Facebook(s fb), Twitter, YouTube and Google+(s goog). Atlanta-based Vitrue claims some big-name customers including Proctor & Gamble(s pg), McDonalds(s mcd), Facebook (s fb), and American Express (s amex) — although it’s not clear from its website how many of these clients are active now. As GigaOM has reported, marketing is becoming an integral function for companies of all types and sizes and marketing needs are driving IT purchases. Researcher Gartner has said that in the next 5 years, a company’s chief marketing officer (CMO) will spend more on IT than that company’s CIO. And that marketing function more and more relies on data-driven analytics and cloud-facilitated collaboration, said Dana Gardner, principal analyst for Interarbor Solutions. Marty Wolf, founder of Martin Wolf M&A Advisors, said enterprise companies want to engage with their customers via social channels. “Companies like Dell(s dell), American Airlines(s aa) have done it well through experimentation and trial-and-error and others are working with digital marketing agencies. With this combination, Oracle hopes to bring an enterprise-class social engagement platform to market.” Wolf said. The deal is just the latest in a series of collaborations or outright acquisitions between legacy IT vendors and a younger generation of social-media and social-networking oriented companies. Almost all of these older companies see the need to tap into the Twitter firehose and Facebook data trove to better find and target prospective users and to bolster their brand images. For example, in December Oracle rival SAP(s sap) tapped Netbase in an alliance so it could parlay Netbase’s social networking analytics expertise. In recent months, given SAP’s acquisition of SuccessFactors and of Ariba Networks just yesterday. One thing’s clear. Given this deal and others, the M&A binge in which old line IT players try to burnish their cloud credibility by buying cloud-savvy and software-as-a-service companies, isn’t over yet. Marketing is definitely hotting up! I just got back from attending Salesforce.com’s Cloudforce London (www.edocr.com/cloudforce2012london) for the 4th year. The big news that most people probably missed out is the forthcoming “Marketing Cloud”, currently dominated by Radian6 within the salesforce.com portfolio. My guess is that Salesforce will ramp up further acquisitions before the big push. I reckon they would need to purchase a company of the size of Marketo or Eloqua to make this happen. They would need to hurry up before Eloqua goes for an IPO. Certainly, an interesting market segment to watch for.